China Cup Buffet is the place to sample authentic Chinese dishes and classic Canadian fare in Prince George! Whether you're in the mood for savoury wonton soup or fresh sushi, our enormous buffet has something to delight everyone in the family. And if you're like us and have more than a few favourites, our daily lunch and dinner smorgasbord hours provides the perfect opportunity to feast on a wide variety of freshly prepared items for less. No need to worry if you can't join us in person for lunch or dinner. 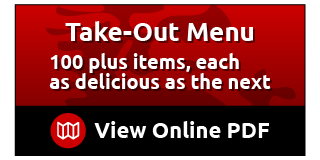 Our traditional Chinese cuisine is available for take-out and delivery 7 days a week! Better yet, delivery is free within the Bowl area (minimum order of $25) between 11:00 a.m. and 10:00 p.m. Try us out today if you haven't already. You'll love our take on your favourites! At your next event treat your guests to something a little different and serve up a little piece of China! Always fresh and always delicious, we offer your party something more than traditional platters, trays and lunch boxes. That sounds like a winning combination if you ask us! Get in touch with us to discuss your event.